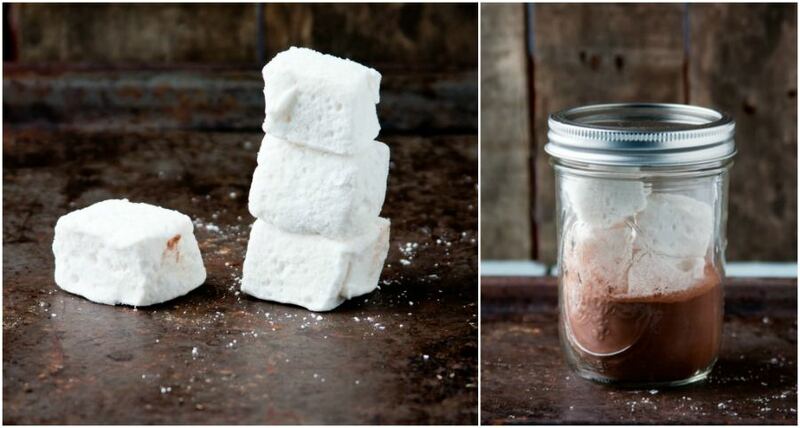 For our neighbor gifts this year we made homemade cocoa and marshmallows. The marshmallows we'd made before, several years ago. This year I started to use a recipe from Smitten Kitchen that promised Jet Puffed-like marshmallows. Who wouldn't want that? About halfway through I realized that the recipe calls for egg whites and since we wouldn't be cooking them, Callum couldn't have any. No bueno. A quick scramble and reboot and all was well. Maybe not Jet Puffed, but still good. You can use powdered egg whites (which we don't have on hand), and next time I'll try that. Making homemade marshmallows, much like Callum trying baseball for the first time, was a revelation. It's a relatively simple, but messy process, and when you're done you actually have marshmallows! I tasted my first one in astonishment. I simply couldn't believe I'd made a marshmallow. You can add all sorts of flavors or roll them in peppermint or coconut, but we're purists here. The recipe for the cocoa comes loosely based from this blog. There's some mad good food on there if you want to go and check it out. We used Ghirardelli's Cocoa and extra sugar, adding cardamom and vanilla sugar sprinkled on top. We packaged these up in mugs for Callum's teachers (remember from here?) and in Ball jars for the folks in the 'hood. I added a photo from among these you see here, along with directions and a warning: NOT! SWEET! 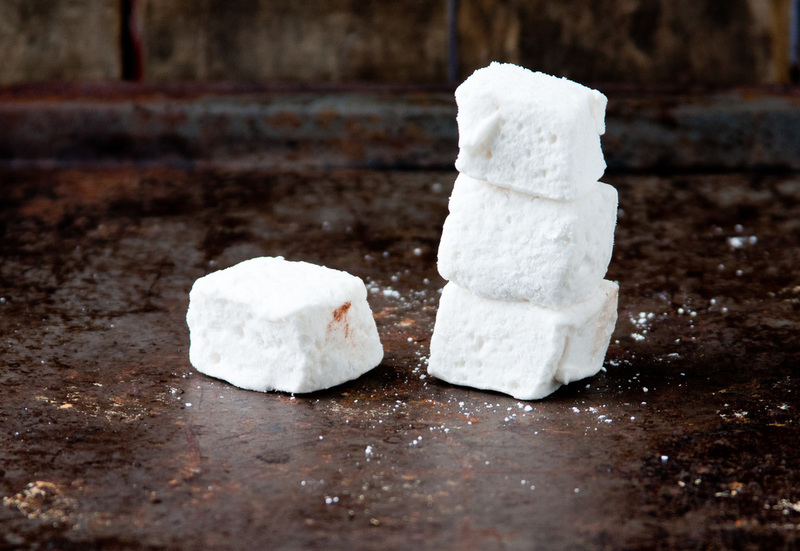 Homemade marshmallows are so melty though. I think they'll go nicely together. I should have a photo of the completed package to show you or a cup of steaming cocoa to round out this post, but I don't. Today is back to school for Callum, and he couldn't sleep last night. He loves school, but he loves being home too. Two worlds colliding is the worst, isn't it? After four, I finally got him up and we came downstairs. I think on some nights like that you're best off just conceding and changing your scenery rather than thrashing around and cursing the dark. If we'd had any cocoa left for ourselves I'd have made it, in the dark early morning. I made us some chai instead, and we snuggled under our favorite blanket on the sofa. He finally grew sleepy as he gazed at the photos on the screen saver. He actually said to me, "Momma, your pictures have really gotten better over the years." Sleepy sweet boy. After a bit, cuddled up there together, we both slept. Better than a photo of a mug of cocoa any day.